The Drake passage, known as the most dangerous body of water on the planet, was extremely tame on both our crossings. The 800km stretch of water between Ushuaia and the first Island Livingstone island, was a mere 10ft on the way to Antarctica. This did allow for great bird watching of the spectacular Albatross and Petrels that followed the vessel for the first day. 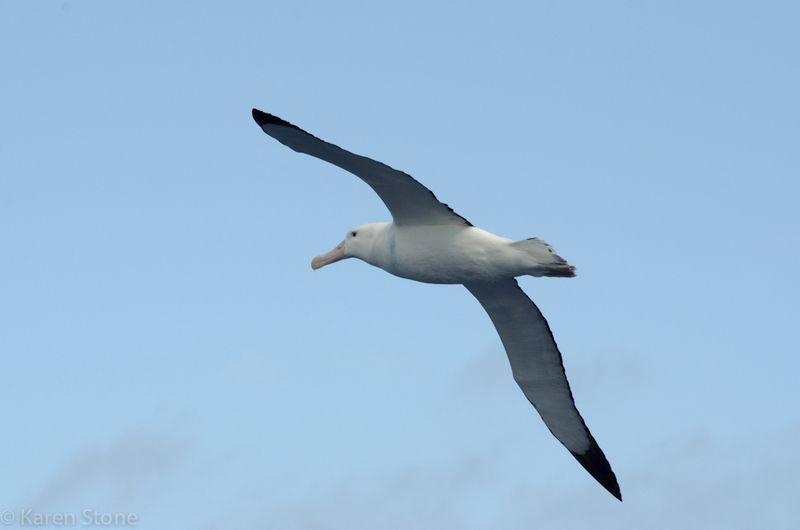 As you can see from the Wandering Albatross above has a blue line that runs around its neck in front of the wings, we believe this albatross must have gotten caught on a line but somehow managed to escape. Wandering and other albatross species will stay on the wing at sea for long periods of time, resting on the waters surface when the wind is not strong enough to aid them. Their wingspan is the largest of all birds measuring up to 3.50m. 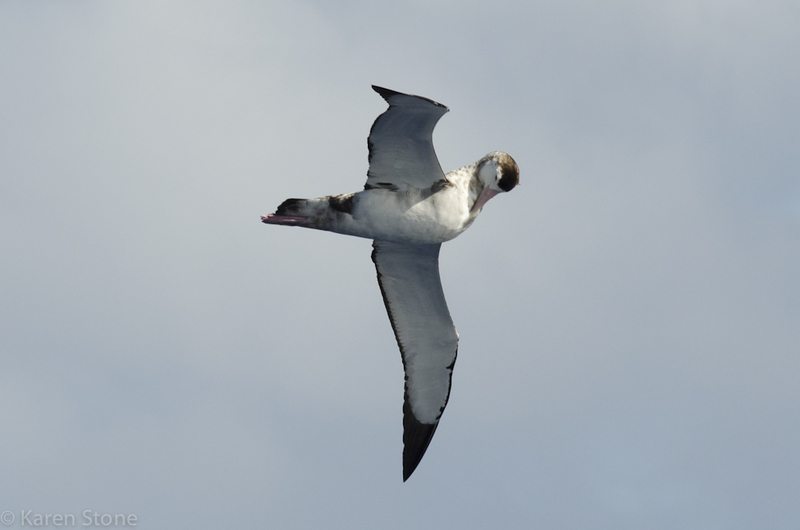 Their breeding season is in early November and occurs on the subantarctic islands above 60S. We did not stop at these islands, so did not see the Albatross chicks, at this stage the adults are out feeding and returning to shore to feed the chicks often. 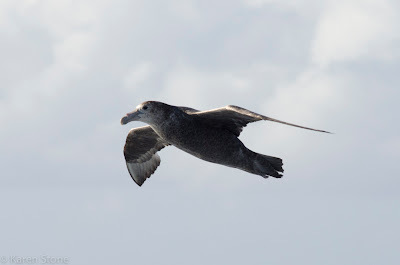 Below is another regularly seen bird the Giant Petrel, found only in the Southern Hemisphere and again around the subantarctic islands in South Georgia. They are distinguished from the albatross by their bill, which is a double tubed nostril joined together on the top of the bill where as on albatross they run on the side of the bill. Petrels are harder to distinguish from one species to the next as the changes are only slight in colour and not easily noticed by the eye. Their amazing wingspans and size as they glide over the surface of the ocean, so nearly touching and yet so controlled is just breath taking to watch. Paul and I stood for hours that day just watching. Albatross preening on the fly. 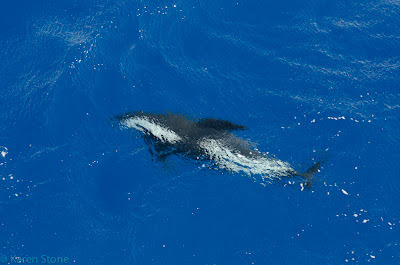 Shy Hourglass dolphin that played off the huge bow. Note how calm the ocean is! The trip back from Antarctica was even calmer, and the winds not even blowing enough to get the albatross and petrels flying.